Chance the Rapper says he’s donating his Grammy Award for best rap album to Chicago’s DuSable Museum of African American History . The Chicago Sun-Times reports that the rapper’s announcement at the museum’s gala Saturday surprised officials. He said during his speech that he wants to make the museum “a staple of African American history” and received a standing ovation. 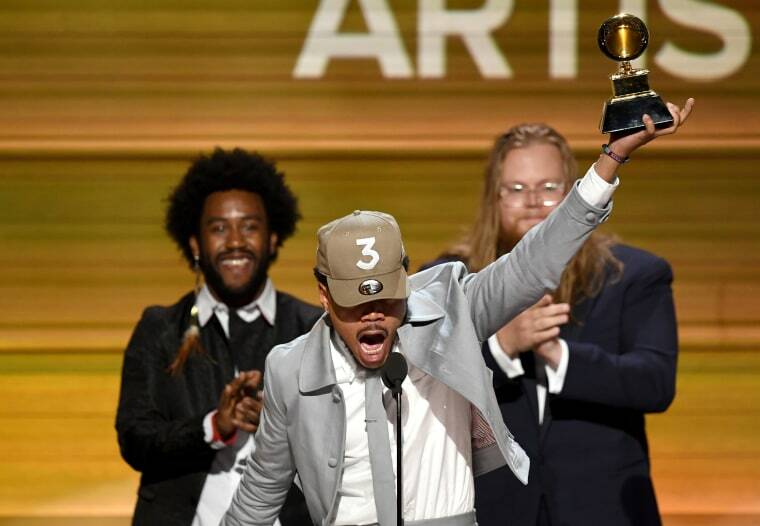 The best rap album Grammy is one of three Chance won in February, including best new artist. His album “Coloring Book” was the first streaming-only album to win the award. He also won best rap performance. The 24-year-old Chicago rapper, whose name is Chancelor Bennett, was named to the more than half-century old museum’s board of trustees in January, along with his father Ken Bennett , who is a Chicago tourism executive.